Netrepid is a provider of hosted video surveillance solutions that work side by side with growing companies to improve their surveillance and security processes from the ground to the cloud. Today’s leading security and surveillance systems can integrate access control, camera surveillance, networking and cloud services into a single solution. Gone are the days when companies store surveillance and security footage on CDs, DVDs, and VHS tapes. In combination with the installation of up-to-date IP cameras, our hosted video surveillance services help move your business forward by integrating critical security solutions at a scalable cost perfect for your budget. Evolve Your Video Surveillance To The Cloud Today. Our data center is a Tier 3-quality, disaster safe, HIPAA and PCI-compliant facility that can serve as the perfect location for hosting the data stored by your surveillance recordings in the cloud. This 8000-square foot facility makes us one of North America’s top 100 MSP hosting service providers, and its from this location that we provide all of our clients technology solutions ranging from cloud services to server colocation and virtualization. These days, organizations of all types need high-quality camera footage and security systems. 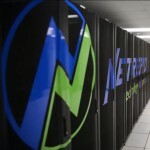 The amount of companies that can afford the high cost of updating their infrastructure annually is few and far between. To help ease that financial commitment, Netrepid (in partnership with LowV Systems) offers IP camera and hosted video surveillance solutions. We understand that each security and surveillance project is unique, so our solutions are often customized to meet the needs of each customer. 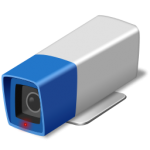 Before you fully decide on our solutions for hosted video surveillance, please review some of the other Netrepid solutions your company may require in order to deploy the surveillance technology mentioned above. If you need any of these, feel free to mention that when you contact us.